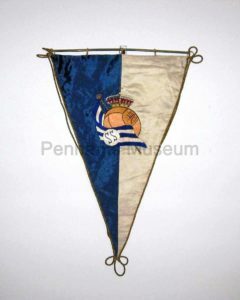 Very nice pennant presented to Valencia before a match of La Liga played in the 60s. 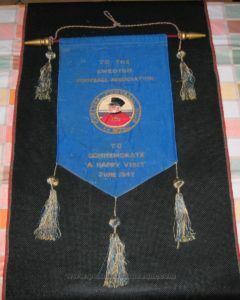 Very nice hand embroidery particularly the badge of the club. 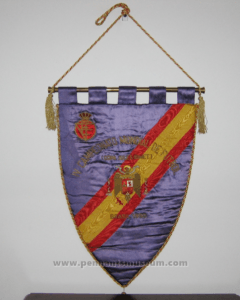 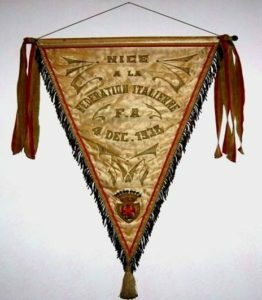 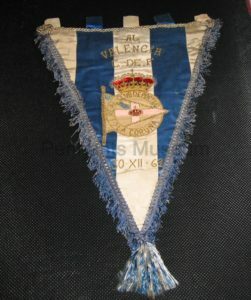 Despite the hanging bar is missing this pennant represents another example of the Spanish tradition in embroidery pennants. 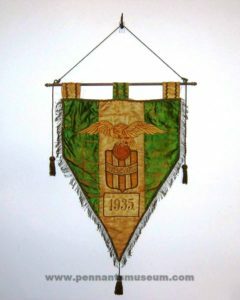 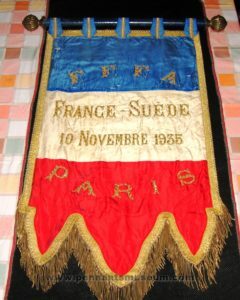 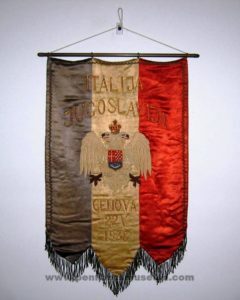 Stunning and large pennant of the Hungarian team presented in occasion of the international matches played at that time. 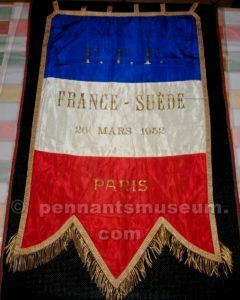 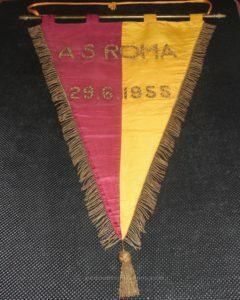 This pennant was issued for the season 1935 and it is a very rare one despite it is not in very good condition.